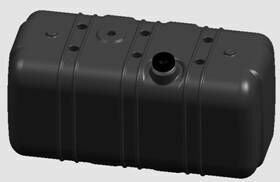 The large internal volume of tank makes them extremely sensitive to temperature changes, and the resulting pressure buildups or vacuums that can stress seals and draw contaminants into the housing. Challenging environmental and operating conditions from water to mud, salt water and debris, can further reduce tanks longevity and performance. Membrane Solutions’ high-flow venting products provide the optimal balance of pressure management and barrier protection, so unit designs can be simplified and light weighted, material and production costs can be lowered, and warranty claims can be reduced.